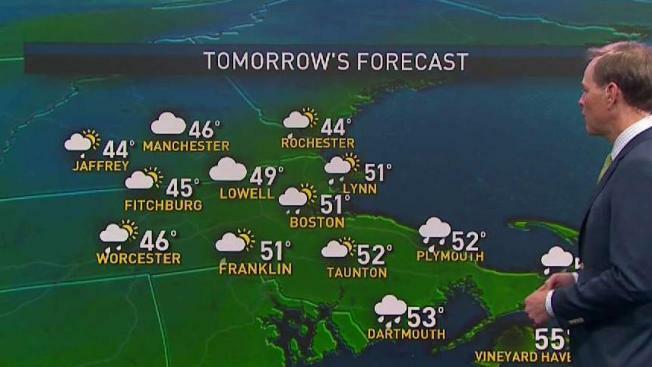 Temperatures will drop into the 30s tonight so dress up if you're going to Gillette Stadium to watch the game. 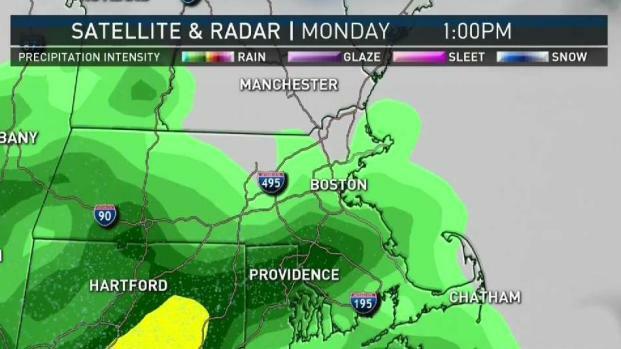 Chance of rain increases Monday afternoon - so bring an umbrella. Election Day weather will be unsettled. The best time to vote (weatherwise) will most likely be in the morning. High pressure in control today will allow for ample sunshine, less wind and temperatures reaching the mid 50s. Perfect weather for tailgating at Gillette but by game time, it will be chilly - so dress for the colder temperatures as the mercury dips into the 30s. Clouds increase to start the week and rain chances return by midday Monday along the south eastern part of the region and arriving to Boston by the evening commute. Expect highs in the upper 40s and lows in the mid 40s-so not much variance in temperature. Election Day will be unsettled. A similar storm to what we just saw this weekend will move through. Conditions will deteriorate through the day Tuesday. The worst of the weather will be Tuesday night into early Wednesday. Heavy rain and strong winds are possible. Sunday Night: Clouds slowly thicken. Low 30s to near 40 in Boston. Monday: Showers sweep in by early afternoon. Cool and raw. Near 50. Tuesday: Misty morning. Cloudy afternoon with more showers late. Near 60 late day. Once the system moves out on Wednesday, temperatures will reach the low 60s. We will catch a break Thursday when another beautiful fall day is expected. Another storm system is possible Friday into Saturday. This too could bring heavy rain and strong winds but it’s too far out to track exact details so we will continue to keep you up to date with the latest developments.